Was born on 13. 1. 1929 in Zvolenská Slatina. (Died 1. 6. 2006). Even as a four-year old, he played the violin, at the age of 10 had concert in National House in Banská Bystrica. Later he attended Music school in Zvolen and scholarship at the Prague Conservatory. 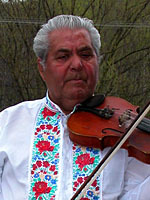 He was later a SĽUK founder, where the stylishly followed the tradition of old first violinists from Podpoľanie. He cooperated on many programs and arrangements of folk songs with maestro Kubánka. 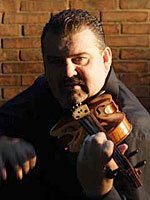 As an exceptional Slovak violin performer, soloist and SĽUK concert maestro, he traveled around the world. He was called the Paganini from Slatina for his unique interpretation mastery which enriched the musical culture of Slovakia. In 2000 was awarded the Prize of Slovak Minister of Culture. Our Association had the honor to personally know this giant of folk music who visited us at the club S.A.M.C. and in Banská Štiavnica. 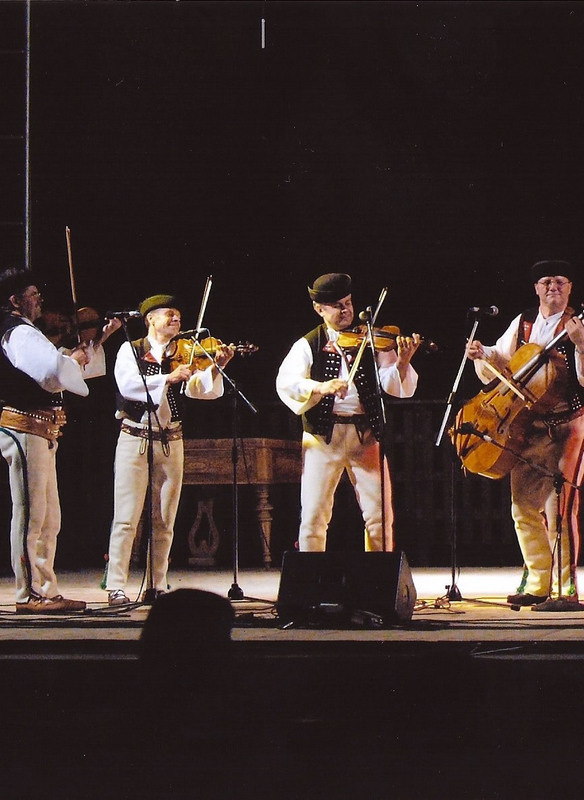 Lúčnica ensemble is a cultural representative of Slovakia which with its mastery of interpretation and imagination, inspired by Slovak folk traditions, creates a stylized stage dancing and singing programs at the highest professional and artistic level. It preserves and uses all the basics and characteristic features of traditional Slovak culture. During its over 62-year history (since 1948) have its membership base passed of over 2,500 young people. Lúčnica with its art, beauty, youth, poetry and temperament impressed the audience not only at home but also in over 60 states of Europe, Asia, Africa, North and South America and Australia, and has welcomed millions of people on its performances. The Association Spectrum ART supports the ensemble, as well as the publication “Čarodejník z Lúčnice” (The Wizard of Lúčnica) about choreographer Štefan Nosáľ. We celebrated together his 80th birthday in the Slovak National Theatre. Slovak dancer, choreographer, artistic chief director born on 31. 10. 1928 Turie near Žilina. Graduate of Academy of Performing Arts. He comes from a teachers family, mother Bronislava was a doyen in the folk movement. He acquired basic schooling in Liptovské Sliače and Ružomberok. While studying at the Medical Faculty of Comenius University in Bratislava, was with his group Odzemkári (1948-1949) one of the determining factors that decided the artistic direction of Lúčnica. Later, he moved to SĽUK on 24.October 1949. His studies at the Academy of Performing Arts were graduated with the thesis: A Legend of Jánošík and Mountain Boys (1957). 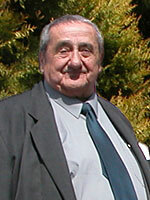 He worked in SĽUK until retirement (1993). His artistic work includes about 250 works of dance, smaller to larger and feature-long. His choreographical hand and a poetic of dance compositions are characterized by unprecedented spatial design, reevaluation and stylization rate of the original material in a substantial range, the richness of dance themes, with a wide-ranging themes and stage atmosphere. Prof. Ing. Milan Križo, DrSc. was born on 10. 8. 1928 in Hrochoť. As a boy from the village always loved beautiful countryside, village people and their culture. He used to say: “If it was taught from first grade, my favorite subject would be ethnography. Because what interested me was folk song and happening in Hrochoť, or animals and especially horses.” As an university teacher, forestry graduate, singer of folk songs, a native from under Poľana, cheers for decades the hearts of people who are charmed by folk song. His strong and powerful voice sounds at many festivals, shows, events but also in radio and television. Our Association supported publishing of monography about maestro Križo and also a CD release which is a selection of the best from his countless songs previously released on several music media. Darina Laščiaková was born on 23. 11. 1931 in Tvrdošín, Orava region, after graduating from musicology and ethnography at the Philosophical Faculty of Comenius University worked as a journalist in the former Czechoslovak Radio where she created a large number of programs that mapped traditional Slovak culture. The most famous of her production is a cycle “Mountains, People and Song” in which were the lives of people from mountain areas of Slovakia uncovered to listeners. She caught the memories of the journey for folk songs in her publication “Life with the song” in which she recalled also to her loved ones, father, mom but also siblings. She recorded in the radio many folk songs, released a lot of music media and attended many concerts, both as a Lúčnica, OĽUN or other music ensembles soloist. Mrs. Laščiaková was our musical guest on V. Music Tajch in Banská Štiavnica. 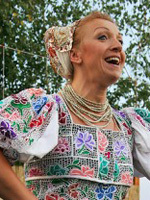 Singer of folk songs, known as an interpreter of songs from Podpoľanie, where she comes from. 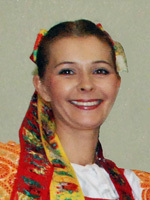 As a dancer and later singer in folk ensemble Detva, she sang with folk music Ďatelinka led by Ondrej Molota, later with folk music Detvanček, now led by Jaroslav Hazlinger. From this period are also known her studio recordings with the Slovak Radio Orchestra in Banská Bystrica, led by Ondrej Mrázik and OĽUN in Bratislava under the direction of Štefan Molota and Miroslav Dudík. In her long existence on the folk scene, she has performed frequently with the Mountain Orchestra. She attended many performances at home and abroad and has 2 own profile CD albums: Milka and My dearest trills. She is a director of FE Poľana by TU Zvolen, a program director of the festival Akademický Zvolen, director of festivals under Poľana in Detva and Očovská Hruda programs. She is a Vice President of Slovak National CIOFF section. Community Spectrum ART knows Anka Šatanová from performances in Banská Štiavnica. She was born on 22.1.1965 in Banská Bystrica, a native of Hrochoť. She is a wife of Ján Pecník, a brother of Juraj Pecník. She won the contest Hronsecká lipová ratolesť at the age of fifteen in 1980. 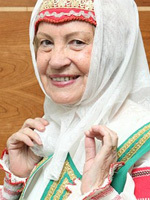 She later, from 1981-1988, acted as a singer in a folk ensemble Bystrina. 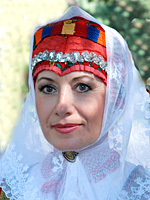 Since 1990, she has performed as a dancer and singer of folk band Hrochoťan. At the same time, from 1987, she sang with Folk music of Juraj Pecník, she recorded with them many CDs and performed at many concerts. Narodila sa 22. júna 1985 v Banskej Bystrici. Od detstva kráča vo folklórnych šlapajách svojich rodičov, no hlavne otca Jána Paloviča. Už ako malé dievča sa venovala sólovému spevu, tancu aj hre na cimbal. No ľudový spev a tanec jej najviac prirástol k srdcu. Šesť rokov, od r. 1998, pôsobila vo folklórnom súbore Urpín v Banskej Bystrici. Po gymnáziu začala študovať na Ekonomickej univerzite v Bratislave a od roku 2004 je sólistkou umeleckého súboru Lúčnica. V roku 2007 sa zúčastnila súťaže Miss Universe Slovenskej republiky a získala prestížny titul I. vicemiss a divácke ocenenie miss Tip. S ľudovou hudbou Juraja Pecníka a Štefana Molotu si niekoľko krát zaspievala pri nahrávaní CD albumov. Ako hosť svojho otca účinkuje na CD nosičoch Vrchárske podoby 1, 2. Zároveň stále aktívne tancuje v súbore Lúčnica. S Pecníkovcami viackrát vystupovala na rôznych folklórnych podujatiach organizovaných aj spoločnosťou Spectrum ART. He was born on 14. 12. 1960 in Bratislava, he began dancing at the age of ten in children’s folklore ensemble Szöttes, by the choreographer János Quittner. Later he continued in the folk ensemble Szöttes until when J. Quittner emigrated to Australia in 1983. During military service danced in ensemble Dunaj in Komárno. 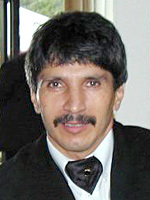 He stuck to dance as a professional dancer – soloist in Poddukliansky Art ensemble in Prešov and continued in SĽUK too(1985-1991). Within the artistic assistance acted in Serbian Folk ensemble in Bautzen for a while. As a compiler collaborated on book publishing about J. Kubánka Návraty do nenávratna (2005). On 31.7.2007 founded a Civic Association Kubánkov sen. The association participated, with other activists, in the production of a film about the life and work of J. Kubánka, for his 80th birthday. Alexander Nagy performs in folklore group Seniors of SĽUK which shows at various folklore festivals, at home and abroad. He was born on 11. 6. 1947 in Košice. His professional career began in 1965, when at the age of 18 joined the dance ensemble SĽUK. Talented freshman soon developed into a soloist. He shined in unforgettable programs of Juraj Kubánka, such as Kurucs, Tatra winter, Myjava mood, at the Parties scenes (Kuruci, Tatranská zima, Myjavská nálada, Na večierkoch) etc. During his military service worked in ensemble Jánošík and later as a choreographer in ensemble Poľana. In ensemble Mladosť worked as a dance ensemble chief, later also in ensemble Skaličan and Nivanka. Since 1984 he worked as a producer of educational concerts for young people in Slovkoncert. His experiences later passed to young dancers at the Bratislava Conservatory. 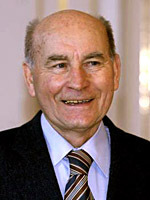 He worked in SĽUK until 1988. Ten years later, he revived the tradition of the SĽUK original character, as an artistic chief director of ensemble Kubánkovci. He is tied with Association Spectrum ART mainly because of friendship with Janko Petrenka, a former dance colleague. 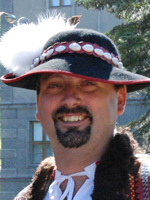 A longtime SĽUK dancer was born on 13. 8. 1961 in Ružomberok. While attending Primary school appeared in children’s folklore ensemble Likavka in Likavka. Later studied at Bratislava Conservatory – Folk dance. He worked as a SĽUK professional dancer from 1976-1991 and during military service in Brno in ensemble Jánošík. He also worked as a dance teacher of Folk Ensemble Ružinov until 1996, and as a repetitor of SĽUK Dance section. Throughout the eighties was involved in making audio recordings for Svetozár Stračina archive. Later were the tracks used in the cycle Panorama of folk music on vinyl LP records. After the death of Maestro Stračina, he was a co-founder and later administrator of the Civil Association, the Community of Sveto Stračina. The association also organizes international meetings and concerts of European radio studios in contest Grand Prix of Svetozár Stračina. 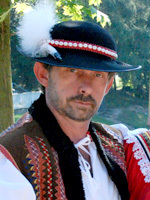 With Alexander Nagy has co-organized dance performances of SĽUK seniors since 2004. She was born 24. 6. 1966 in Košice. She began dancing from 1974 in newly established CHFE Železiarik, after years FE Železiar. 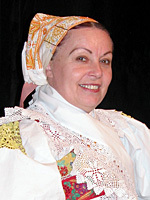 In March 1983 entered professional ensemble, Poddukelsky Ukrainian folk ensemble in Prešov (Poddukelský ukrajinský ľudový súbor), where she acted until 1991 when she moved to Bratislava. 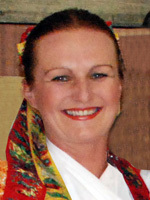 In 2006 she entered folklore group Seniors of SĽUK, from 07/2007 CO Kubánkov sen, she performs on various folklore festivals, at home and abroad. He was born on 22. 6. 1955 in Hanušovce n. T. He began dancing in 1967 in non-professional ensemble Oblík in Hanušovce. 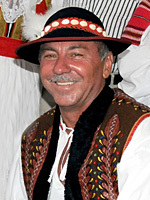 From 1973 he began dancing professionally in Poddukelsky Ukrainian folk ensemble in Prešov (Poddukelský ukrajinský ľudový súbor). In 1975 –1977 during the Army serving he acted as a dancer in Military art ensemble of Vít Nejedlý in Prague. From 1977 to 1999 performed as dancing soloist in SĽUK which represented our culture at home or abroad. 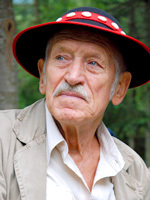 From 1999 to 2005 he acted as a choreographer, pedagogist in children folk ensemble Gerulata, and as a pedagogist in Private Dance Conservatory of Viera Sadovská. From 2006 he performs in folklore group Seniors of SĽUK, from 07/2007 CO Kubánkov sen that performs on various folklore festivals, at home and abroad. He was born on 11. 3. 1955 in Hanušovce. He started dancing in 1969 in non-professional ensemble Oblík. 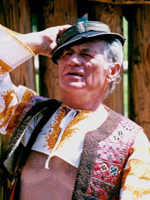 From 1974 he began dancing professionally in Poddukelsky Ukrainian folk ensemble in Prešov (Poddukelský ukrajinský ľudový súbor). During the Army serving he acted as a dancer in Military art ensemble of Vít Nejedlý in Prague. From 1977 to 1999 performed as dancing soloist in SĽUK which represented our culture at home or abroad. During the dancing career acted as a choreographer assistant for maestro Juraj Kubánka. In the period 1999-2000 acted as dance master in SĽUK. He cooperated with ensembles Račan, Družba in Trenčín, Ekonóm in Bratislava. From 2005 he acts as folklore dance pedagogist in Private Dance Conservatory of Dušan Nebyla in Trnava. From 2006 he performs in folklore group Seniors of SĽUK, from 07/2007 CO Kubánkov sen that performs on various folklore festivals, at home and abroad. He was born in 1. 5. 1973 in Bratislava-Rusovce. 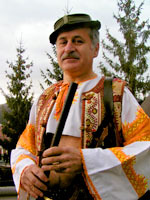 In 1987 entered folklore ensemble Ružinov where he remained active until 1991. 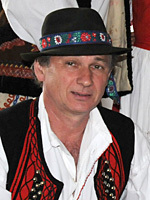 From 1991 he became a member of SĽUK dance section. 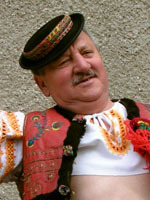 During this period, in 1994, he served the Army in Veľký Krtíš, where he worked as dancing pedagogist in folklore ensemble. He ended his dancing career in 1997. From 2006 he performs in folklore group Seniors of SĽUK, from 07/2007 CO Kubánkov sen that performs on various folklore festivals, at home and abroad. She was born in 5. 8. 1962 in Martin-Bystrička. She is a graduate of Moscow dance school MACHU, and Conservatory of Prague and Bratislava. She became a member of dance ensemble SĽUK, later a soloist, during this period she worked as a Dance conservatory pedagogist in Bratislava, FE Technik and FE Lipa, after ending dance career, in 2004, continued as a repetitor, choreographer assistant, director and stage-manager of SĽUK. From 2006 she performs in folklore group Seniors of SĽUK, from 07/2007 CO Kubánkov sen that performs on various folklore festivals, at home and abroad. She studied at Dance conservatory in Košice in 1977. She completed her dancing education in 1984 absolutory in Bratislava. She was immediately hired to SĽUK where acted for 24 years as a soloist. She is devoted to costume making. She prepared first costumes for theatre Theátrium in Bratislava. She implemented costume designs for State Opera Banská Bystrica, Theatre ofJonáš Záborský in Prešov, North Czech theatre of opera and balet in Ústí nad Labem, Art House Piešťany, STV, Slovak singer Kristína, Miss Slovensko and international ensemble Tamburitzans in Pittsburgh. From 2006 she performs in folklore group Seniors of SĽUK, from 07/2007 CO Kubánkov sen that performs on various folklore festivals, at home and abroad. He was born on 10. 3. 1957 in Banská Bystrica, a native of Priechod performed with the FE and FS from Priechod and FE Partizán Slovenská Ľupča from 1973. We know him as a unique singer, shepherd’s piper and dancer. His unique dance performances are enriched by unique dance figures and comic gestures for which audience loves him. The Association Spectrum ART supported edition of his profile CD. Narodil sa 23. marca 1956 v Martine. Žije vo Zvolene. Vyštudoval národopis a hudobnú vedu na Filizofickej fakulte Univerzity J. Ev. Purkyně v Brne. Viac ako jedno desaťročie bol riaditeľom Folklórnych slávností pod Poľanou v Detve. V súčasnosti je riaditeľom Podpolianskeho osvetového strediska vo Zvolene. Ako tanečník a inštrumentalista bol dlhoročným sólistom folklórneho súboru Marína vo Zvolene, Poľana v Brne, je čestným členom folklórneho súboru Detva. Ako fujarista, píšťalkár a spevák účinkoval s ľudovou hudbou Ďatelinka a Detvanček, v posledných rokoch je sólistom Vrchárskeho orchestra Juraja Pecníka. Igora Danihela sme mali možnosť vidieť na Štiavnických Tajchoch. He was born on 11. 3. 1964 in Ružomberok, where attended Elementary art school. Later he attended the Conservatory in Žilina, where he developed violin playing with prof. Bohumil Urban. 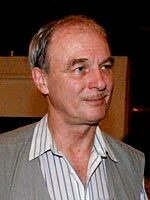 He was active in OĽUN in Bratislava since 1984, later in Slovak Philharmonics and in the Chamber Opera (1988-1990), in Cymbalo Quintet (1991-1994) and in Diabolic Violin ensemble from 1994 to 2004. He is a bandmaster of Golden Violin band since 2004. Golden Violin Orchestra is at first basic band of Lúčnica but soloists of seven members Orchestra Golden Violin also act as an independent band, they are also the leaders of instrumental groups in a large 55 membered orchestra with the same title. The idea of this unique ensemble was born at the 55th Lúčnica anniversary when many former musicians-Lúčnica members met together. The quality of this extraordinary ensemble confirmed many stars (Karvay, Stivín, Jenis, Vargicová, Dvorský, Babjak) who have performed together with the orchestra on one stage. 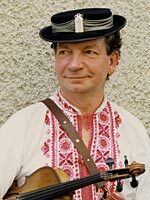 He is equally famous son of famous folk violin virtuoso Ján Berky-Mrenica Sr. (1939-2008) who long worked mainly in Folk Art Ensemble SĽUK. He confirmed to the world , together with Rinaldo Oláh, inherited musicality in the Slovak Roma blood. Son took after his father not only his violin but also leading of the orchestra Diabolic violin. With his band he currently produces modern show, dynamic and rhythmic folklore with elements of supreme virtuosity and instruments control. He often invites interesting guests as Lucie Bílá or Sisa Sklovská. Diabolic violin often play together with the Mountain Orchestra on events of Spectrum ART. CD Diabolic violin LIVE was issued in partnership with Spectrum ART Association. Ján Berky-Mrenica Sr. was honorary guest of our folklore evenings. Traditional folk music from Terchová by Alojz Mucha, Peter Mucha, František Mucha, Rudolf Patrnčiak and Štefan Mucha is not only unique because of instruments configuration (violin, contrabass, small contrabass, pipe, helicon) but also because non-traditional musical expression. Almost a family band inherited musicality from generation to generation. In Terchová is perhaps no family where is not a musician. Symbol of copyright “Lojzo Mucha” is a guarantee of world quality because folk music of Mucha brothers is not only known in Europe but also in Asia, South America and Australia. Mucha brothers and their band are frequent guests at Spectrum Art events where they play together with the Mountain Orchestra. Particularly Ferko Mucha, bandleader, swept back to Spectrum ART Association, especially because of his fondness of painting. Landscapes but mainly portraits of figures related to folklore made him famous. 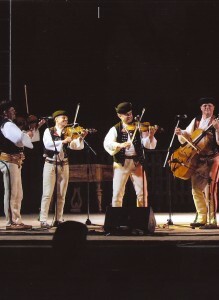 Authentic folk music from Čierny Balog performed by Gypsy musicians – the Bartoš family. The group often plays at Spectrum ART folk events. This unusual traditional manifestation of folk music, remelted into a simple but emotionally strong sound by Roma performers of four original instruments and vocals is often an adornment of folklore events. Ondro Molota was born on 15. 7. 1949 in Fiľakovo, he played violin in the ensemble Urpín while studying at PF in Banská Bystrica and later in ensemble Mladosť. He is legendary band leader from Podpoľanie who with his brother Štefan Molota belong among the leaders of virtuoso control of their violins, as a folk music bandmasters, despite his handicap (bow in his left hand) reached supreme mastery, admiration and respect from other first violinists from Podpoľanie. 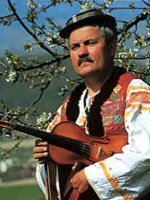 He founded Ďatelinka Folk music in 1971, in Culture House A. Sládkovič in Detva, which celebrates this year its 40 anniversary. Ďatelinka, that is four-leaf clover, publicly performed for the first time at a folk festival in Strážnica. Since the beginning, it cooperates with folk and vocal female ensemble Detva. He acts in a separate entry with other bandmasters of Podpoľanie. (Molota, Hronček, Harazín, Hazlinger) within the program The Mountain Parade. The Association Spectrum ART supported the edition of his profile CD. He was born on 7. 10. 1947 in Lučenec. 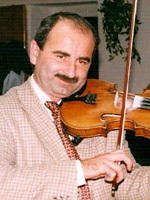 He is a virtuoso first violinist of Folk Music “Hrončekovci” and the most conspicuous figure of the Hronček dynasty from Hriňová. His teachers were legendary Blažej Paprčka and extremely technically advanced bandmaster Ján Berky-Dušan from Zvolenská Slatina. He founded an ensemble of Folk music in 1970 which acts in various transformations until today. His folk music co works with many radio stations and television studios. It has received numerous awards during its operation, while reputation of Hrončekovci make also sons of Ján Hronček of the third or fourth generation. 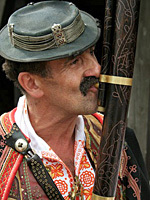 Hrončekovci are synonym for expression purity of typical folklore from Podpoľanie. He was born on 24. 4. 1964 in Zvolen. He belongs among a small group of first violinists from Podpoľanie. At first he played first violin for 10 years in FE Marína Zvolen and later in FE Zobor in Nitra, where he became a bandmaster. During the army service, he performed in ensemble Jánošík in Brno. He performed sequentially in ensembles Hriňovčan, Poľana, Zornička and Vrštek, finally stayed in Folk music of Ján Hronček but also creates his own work in the ensemble bearing his name. 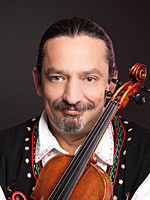 He performs separately at festivals as well-known first violinist, but also with the Mountain Orchestra, especially in program “Bandmasters from Podpoľanie”(“Podpolianski primáši”) where enhances the stylization of own artistic ambitions, as well as the current form of musical folklore presentation by imaginative but sensitive manner. The playing ways meet with subsiding of original tradition forms of the players who come from different musical Podpoľanie areas. Jaroslav Harazín is often a guest at joint events with the Mountain Orchestra. Famous first folk music violinist was born on 9. 3. 1970 in Detva and until 1991 lived in Hriňová. His talent was discovered and developed especially by his father who was co-organizer of children singing contest “Singing youth”(“Rozospievaná mlaď”). He won the first place in 1977, and qualified for the district competition in Detva. Later reaped success in all three ages categories, while he was accompanied by professional Folk music of Ján Hronček and Ondrej Molota. And just this Folk music was later a ground desire to play the violin in his own orchestra of folk instruments. 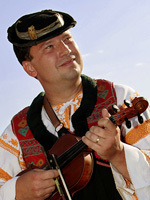 During his studies at Secondary economical school in Banská Bystrica performed in folk ensemble Detva and after the admission to the Economic University in Bratislava, performed in folklore group Ekonóm. However he remains faithful to his native region, particularly by acting in FM Detvanček or Detva ensemble. He has recorded together with the orchestra several CDs, with music exclusively from Podpoľanie region, while the most popular among audience are “rozkazovačky”(commands). Jaroslav Hazlinger could be seen and heard on Štiavnické Tajchy.